This week's collection comes to us from Jon Rhodig. 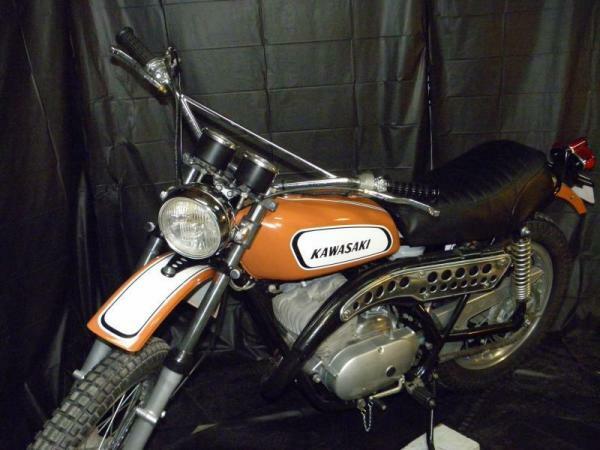 This is my 1970 Kawasaki F5 Big Horn 350 that I literally rescued from a barn. Actually the story of how I acquired this bike is a bit more interesting. Back in the mid 90's on a family vacation we stopped by an old small town Kawasaki dealership just to rest and look around. Back in the back room they had a few bikes that they told us they have had in their possession for quite some time, they were bikes that were left by customers that could not pay or would not pay for services rendered. 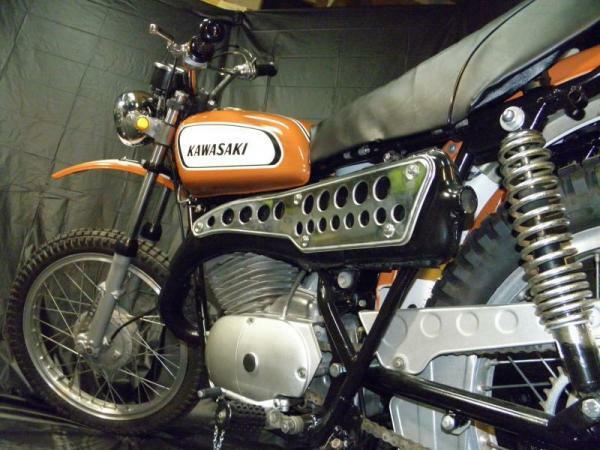 Among these bikes were some Kawasaki triples and a couple of vintage Kawasaki singles, notably the first year early model (build date 2/70) F5 Big Horn. To make a long story short we bought three bikes that day and prepaid for 1 other bike (and a bonus Yamaha DT175 that had been hit by a car for free). 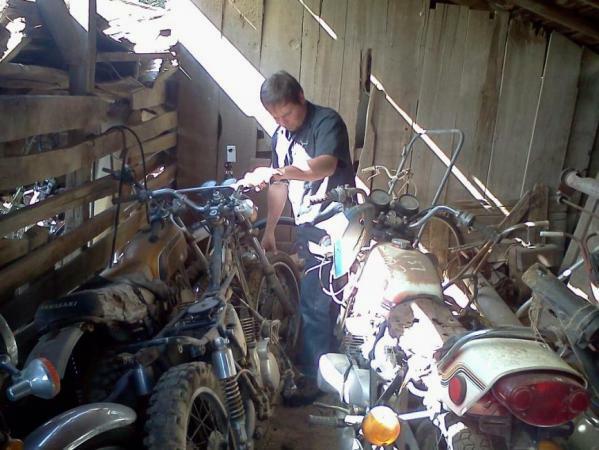 The bikes followed us home on the 3 rail trailer we always towed behind our 1976 Chrysler Newport, to then be stored in our barn for future restoration. Fast forward almost 20 years to the present day. 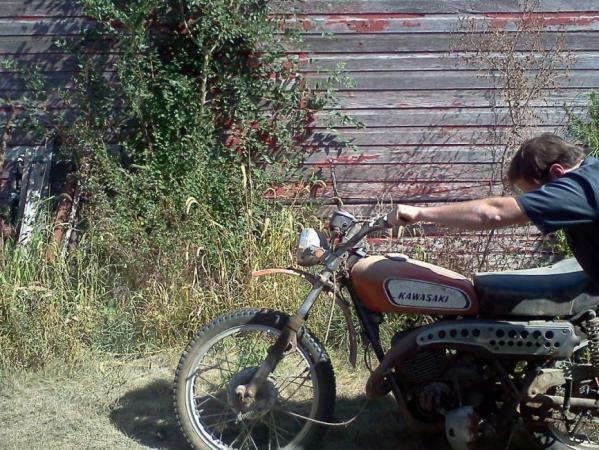 I retrieved the bike from the barn and began the delayed restoration. I chose the F5 Big Horn as it was a bike my Dad always wanted when it came out but never owned. It was pretty rough but mostly complete. The bike took a lot of work to put it back to showroom condition. I also filmed the whole process from start to finish in a web series I titled "BARN FRESH" from digging it out of the barn to the final finished bike. You can see it all the videos here.